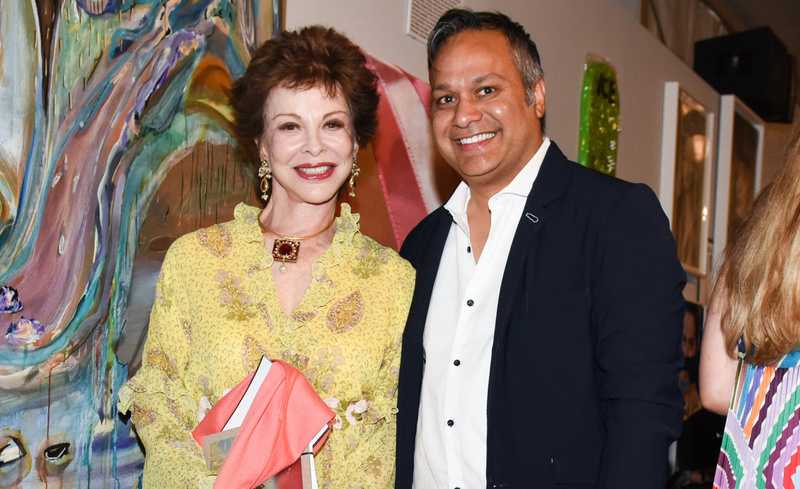 The 14th annual edition of ArtCrush, the Aspen Art Museum’s (AAM) lavish fundraiser, kicked-off beautifully for three days in the midst of the gorgeous Colorado landscape. 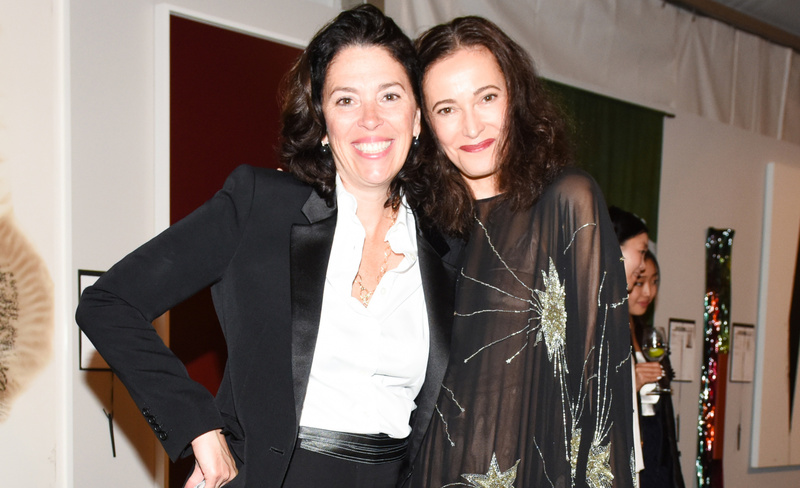 The visually decadent art event took place from August 1–3, offering guests exhilarating shows at the AAM, thoughtful programming, luxurious dinners, intense after parties and a bevy of art world superstars. 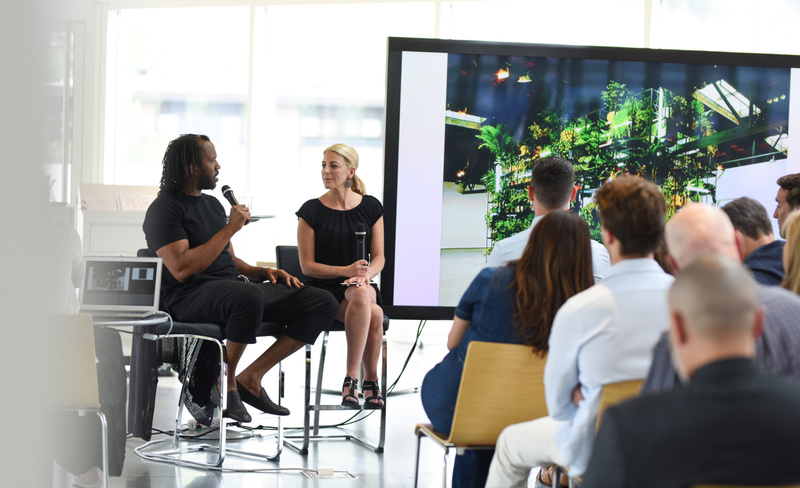 This year ArtCrush was anchored around its 2018 Aspen Award for Art honoree Rashid Johnson, a beloved member of the Aspen art community for close to a decade. Johnson and the AAM are currently preparing for an upcoming solo show in the summer of 2019, with one of his stunning works already sitting in the AAM’s administrative offices offering visitors a prelude of what’s to come. 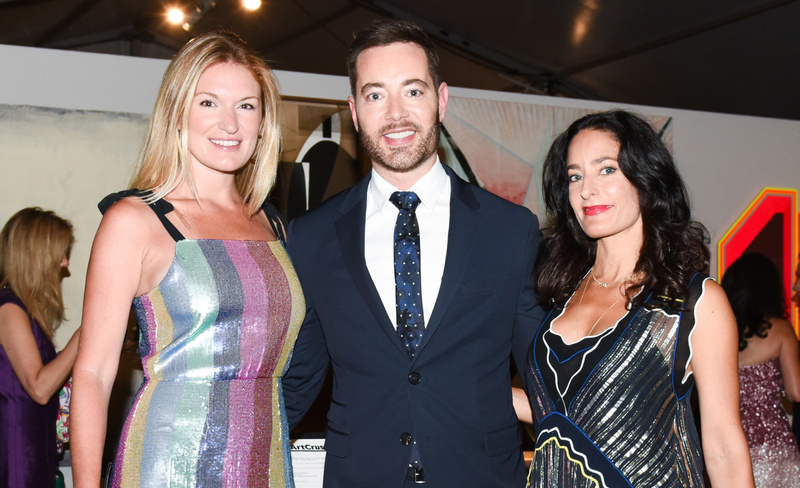 The three-day art bacchanal began with WineCrush on August 1, hosted by John and Amy Phelan, the museum’s most prominent benefactors (Amy Phelan is an AAM National Council member and chair of ArtCrush 2018), at their opulent home filled with dazzling works by Mickalene Thomas, Marilyn Minter, Tracey Emin and Takashi Murakami. An impressive, large work by Rashid Johnson greeted guests at the front door as they mingled and sipped on Dom Perignon. An outdoor dinner ensued, where invitees were treated to lobster rolls and duck dumplings, paired with numerous sumptuous wines by master sommelier Jay Fletcher. On August 2, Zuckerman and Johnson engaged in a late afternoon conversation at the AAM’s rooftop, where they touched on ideas of empathy and other concepts in his practice. The lecture was followed by two gallery openings in downtown Aspen, “Preview Crush” at the Baldwin Gallery, featuring a powerful solo show by Gary Simmons on the main floor, and a preview of works available in ArtCrush’s benefit auction on the lower level. Additional auctions lots were on view at “Preview Extra” at Casterline | Goodman Gallery, which featured the neo-dystopian works of Marcus Jansen. The fete culminated with ArtCrush at Buttermilk Mountain. After some dreary afternoon rain, guests dressed in their shiny and pastel best for the Cosmic Utopia theme. Rays of magenta, mirror chandeliers and sensual Mylar curtains were present in the reception and main tent area, once again executed by STONEFOX. For the cocktail hour, guests bid on the Artsy-powered silent auction featuring works by Cheryl Donegan (currently on view at AAM), Diane Arbus, Lee Friedlander, Basil Kincaid and others. About 500 guests made their way into the main tent for the ArtCrush dinner and Live Auction, as Amy Phelan offered welcoming remarks. Zuckerman then presented Johnson with the incredible accolade, the 2018 Aspen Award for Art. 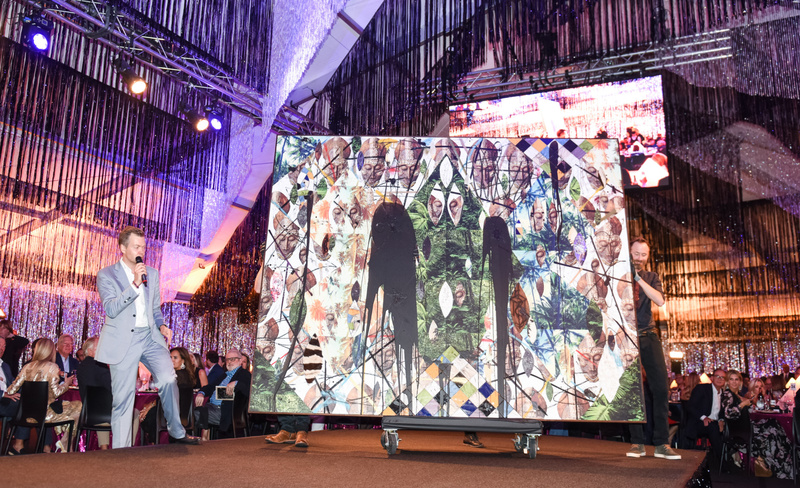 After the award was presented, Oliver Barker, Sotheby’s senior international specialist for contemporary art, took to the stage to commence the live auction. Top artists included Larry Bell (who is exhibiting a sculptural diptych on the AAM’s roof), Robert Longo, Leo Villareal, Josh Smith, Jay DeFeo and Carroll Dunham. The crown jewel of the auction was Johnson’s Untitled Escape Collage, 2018, which sold for an extraordinary $730,000. ArtCrush raised an impressive $2.5 million for AAM’s ongoing programming and future boundary-breaking exhibitions. Aspen’s BellyUp served as the locale for the AfterpartyCrush, where iconic New York City DJ and music producer, DJ Jellybean Benitez spun classics by Prince, Sister Sledge and Chic for an epic night of art, culture, music and style. 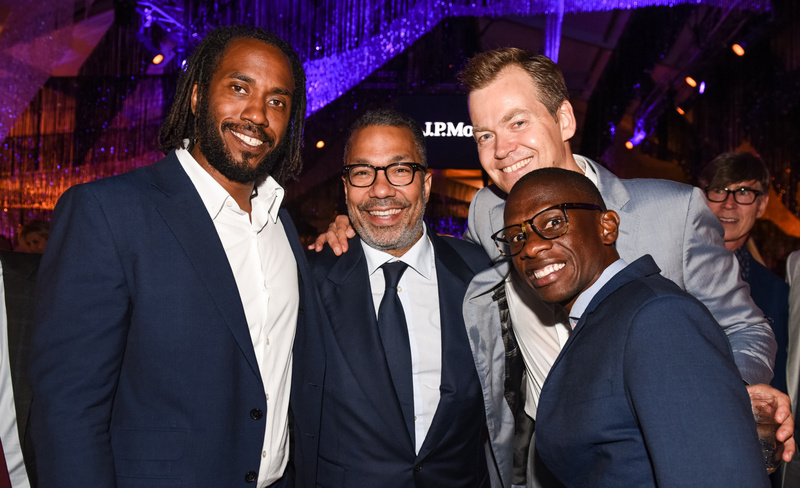 Notable artists in attendance included: Rashid Johnson, Zoe Crosher, Tara Lewis, Beverly Fishman, Ben Durham, Barnaby Furnas, Will Cotton, Marc Dennis, Nikolai Haas and Simon Haas (The Haas Brothers), Nir Hod, Marcus Jansen, Dave Muller, Richard Phillips, Gabriel Rico, Carlos Rolón and others. 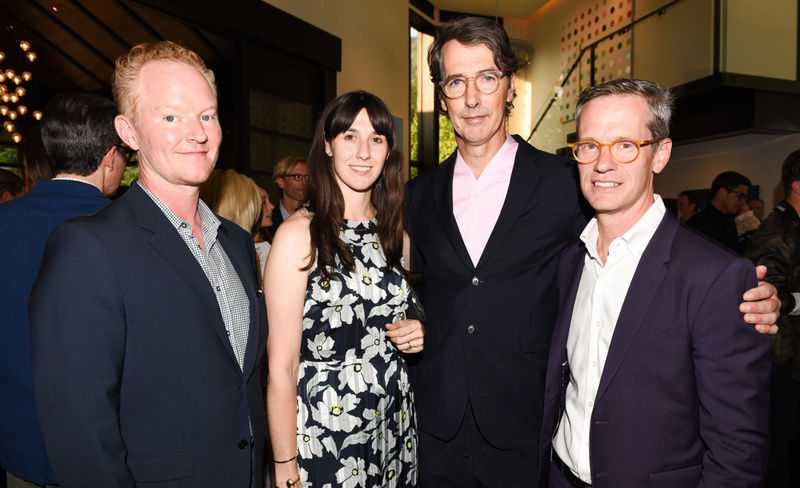 Barnaby Furnas, Kelly Woods, Richard Phillips, Chris Stone at WineCrush. Rashid Johnson's contribution to the ArtCrush Gala. 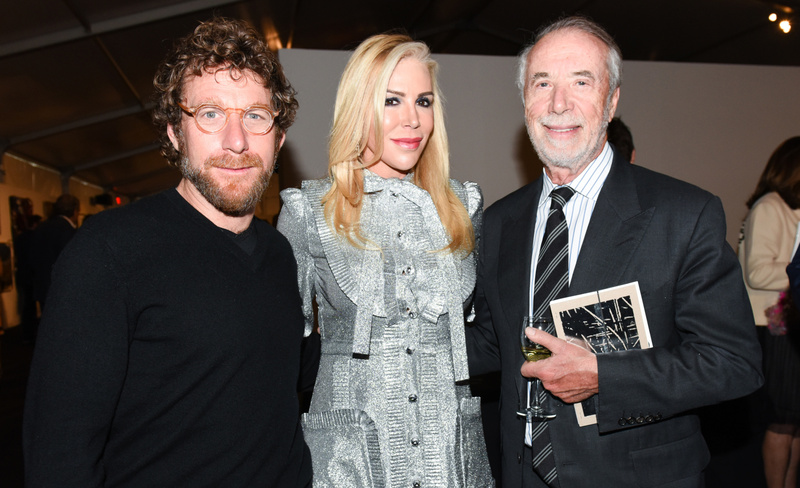 Dustin Yellin, Amy Phelan and Domenico De Sole at ArtCrush. 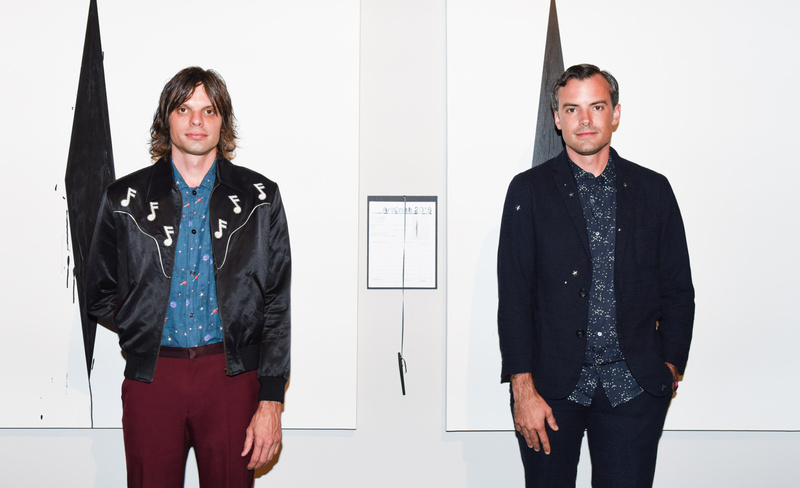 Nikolai and Simon Haas at ArtCrush 2018. Nancy Magoon and Kavi Gupta at ArtCrush. Sarah Arison, Ulysses De Santand Deedee Sides at ArtCrush.